3) Can I borrow materials from the archives? 4) What material from the archives can I access online? 6) How do I donate? 7) Why is my contribution/ involvement with the archives important? 8) What is in the archives? 9) How do you take care of it all? 10) How do I contact you? 11) What is the Dharma Ocean Society? 12) What is the Legacy project? an appointment by calling us at (902) 420-1118, or we can be reached by email anytime, using the form above. 3. Can I borrow materials from the archives? release originals. This can be arranged on a case-by-case basis. 4. What material from the archives can I access online? Everything you see on this website and through our affiliates is free for you to view and access on an ongoing basis. Yes! Please feel free to contact us using the form above with your interest. Volunteers assist us in transcript work, cleaning our vault and workspace, repacking and documenting the Druk Sakyong’s personal belongings. Thank you for your interest in helping! If you’d like to donate, please click here and follow the instructions on our donations page. We also accept credit card donations by telephone or complete one of our donation cards and drop it in the mail to us. 7. Why is my contribution/ involvement with the archives important? 8. What is in the archives? You can find a sample of our holdings here. But we highly recommend you come for a visit! 9. How do you take care of it all? Since the Archives’ inception, we have designed facilities to preserve and take care of the variety of materials in our care. Please see our technical documents for discussions of our considerations while preserving different types of material in our collections. Using our handy contact form above. 11. What is the Dharma Ocean Society? 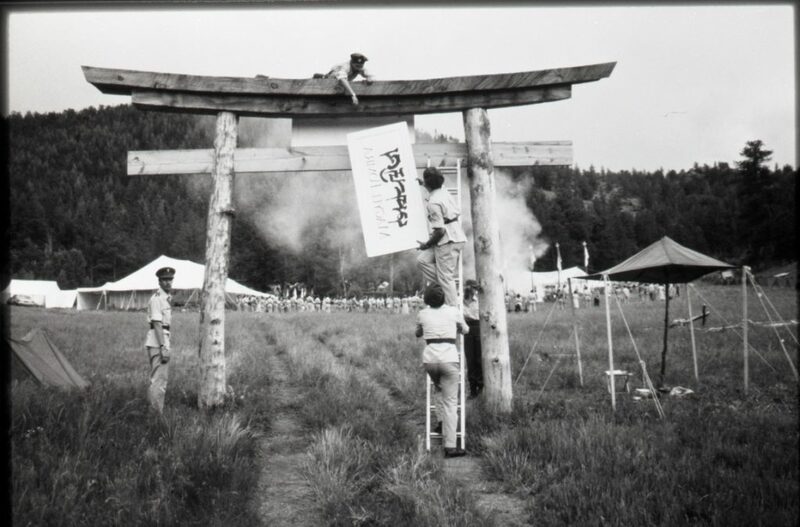 The Dharma Ocean Society was an organization devoted to the support of the activities of the Shambhala Archives. 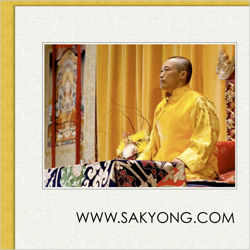 The name for the society was taken from Chögyam Trungpa’s own name, Chögyam — a shortened form of Chökyi Gyatso — which is Tibetan for “Dharma Ocean”. The Archives was originally funded almost exclusively by donations received from the more than 300 members of the Dharma Ocean Society, who would contribute on a monthly, yearly, or one-time basis. It was instituted in 1989, shortly after the inception of the Archives itself. It has been inactive for ten years, although individual donors continue to be an important source of support. 12. What is the Legacy project? existing programs as well as the initiation of new projects and programming. LEARN MORE ABOUT THE LEGACY PROJECT HERE! 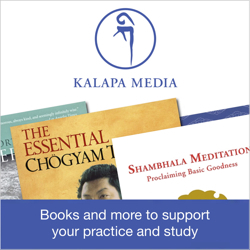 Kalapa Publications sells books and recordings, many of them based on materials in the Archives, and also offers banners and flags, pins, brushes, photographs and prints. 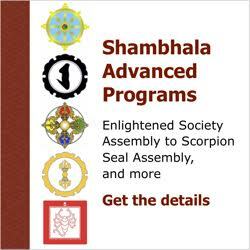 Shambhala offers a wides variety of programming, built on the understanding that humanity is fundamentally good. From this place of strength and confidence, we have the power to create an enlightened society.